What's better than a Wellness Centre for a moment of tranquil pampering in the heart of Paris? 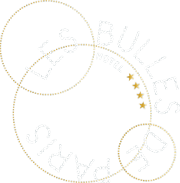 Away from the Parisian hustle and bustle, you can relax in the hammam of the Hotel Les Bulles de Paris or partake of the benefits of our private Spa with sauna and steam room for two persons. Or why not give yourself over to the expert hands of our masseuses, who will ensure your blissful relaxation?